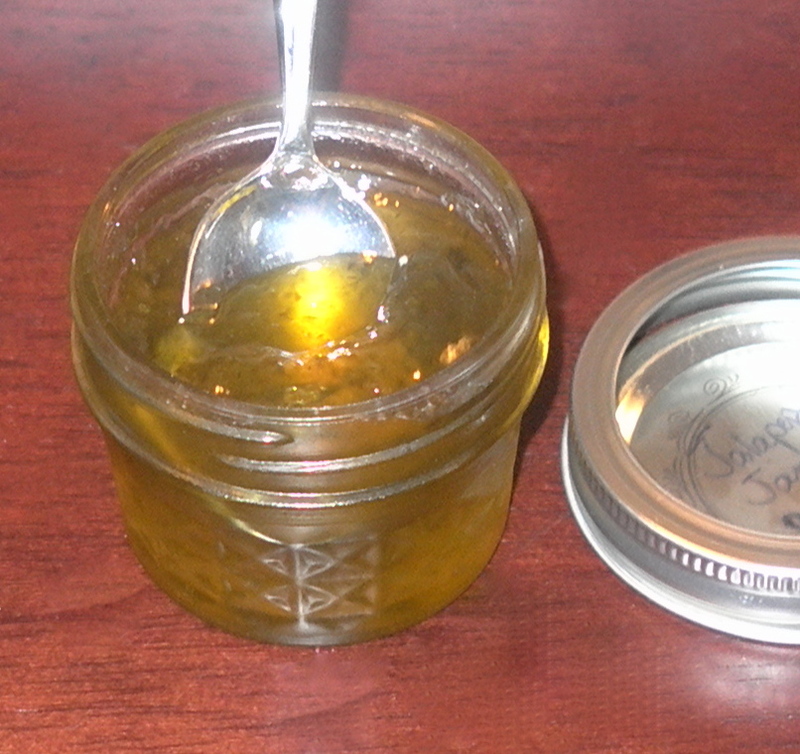 Here is Part 2 of my preserving projects from yesterday. This jam is an addicting combination of spicy and sweet. We had it with crackers and cheese last night, and a lot of people recommend serving it with cream cheese. Do you have any other good ways to serve jalapeño jam? This recipe came from the Pick Your Own site. It is such a detailed recipe, including the canning method, that I am not going to attempt to repost it. Just check out the link. It’s an extensive site if you are interested in other preserving projects. A few notes about my own experience with this recipe: I only had 12 peppers from the garden ready to go, so I halved the recipe. Also, I did NOT use food coloring, but I love the amber color that naturally came through. Finally, I did not use gloves. Big mistake. Big. Huge. Putting my contact lenses in this morning was torture. I recommend gloves when dealing with this many hot peppers.